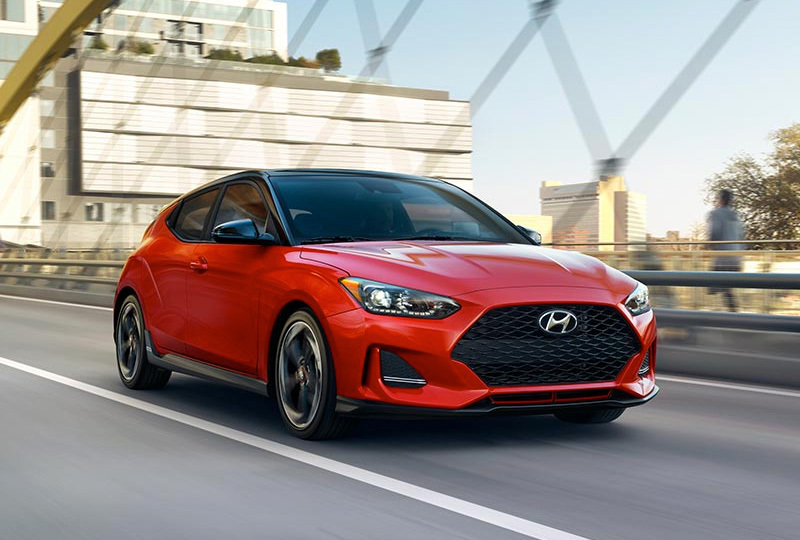 The 2019 Hyundai Veloster from Hyundai of Orange Park in Jacksonville, FL, serving Ponte Vedra and St. Augustine, delivers sporty performance and connected comfort. Look sharp while you head towards your destination with 17-inch alloy wheels and the stunning exterior profile. Pump up the power with a 2.0L Atkinson-cycle 4-cylinder engine. Take your pick of a 6-speed automatic or a 6-speed manual transmission depending on the level of control you want. Upgrade your experience with the available leather-trimmed seating, and find room for every last belonging with the 60/40 split-folding rear seat. Keep the perfect soundtrack playing in the background with a 7-inch audio touchscreen display that includes standard Apple CarPlayTM and Android AutoTM smartphone integration. Pick your parking spot and back into it with ease using the standard rearview camera, which has dynamic guidelines to help you line up your angles. Now is the best time to buy a new Hyundai! We have an amazing selection of 2019 models at incredible savings, and new auto loan rates have never been lower. Take a test drive today to experience all that Hyundai has to offer. Visit the dealership located at 7600 Blanding Blvd., Jacksonville, FL 32244. We can't wait to see you in the 2019 Hyundai Veloster of your dreams! Three doors. One of a kind. 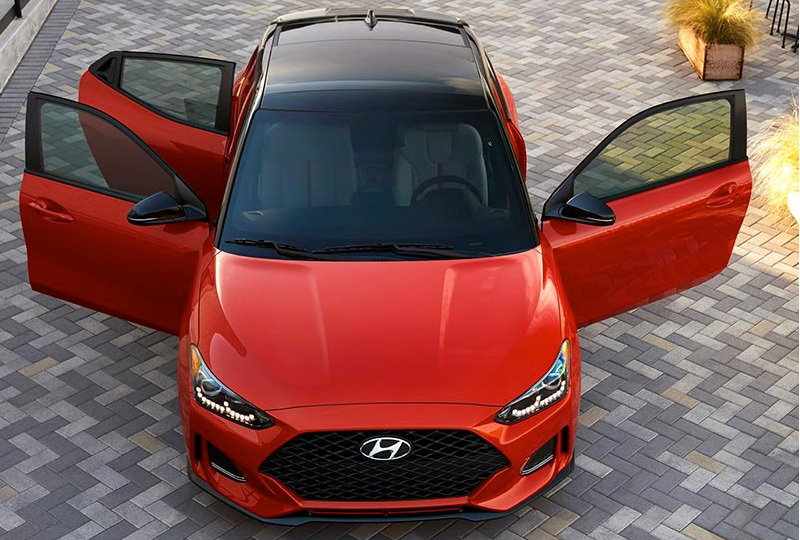 When it comes to its unique exterior, the Veloster pushes the envelope even further with a sportier, more aggressive design. As a stealthy access to the backseat and a not-so-stealthy aspect of the asymmetrical design, the third door is the epitome of form and function. The Veloster doesn't just look different, it feels different ‐ especially when you're ripping it around hairpin turns and tight corners. The Veloster was designed to be bold - just like you. 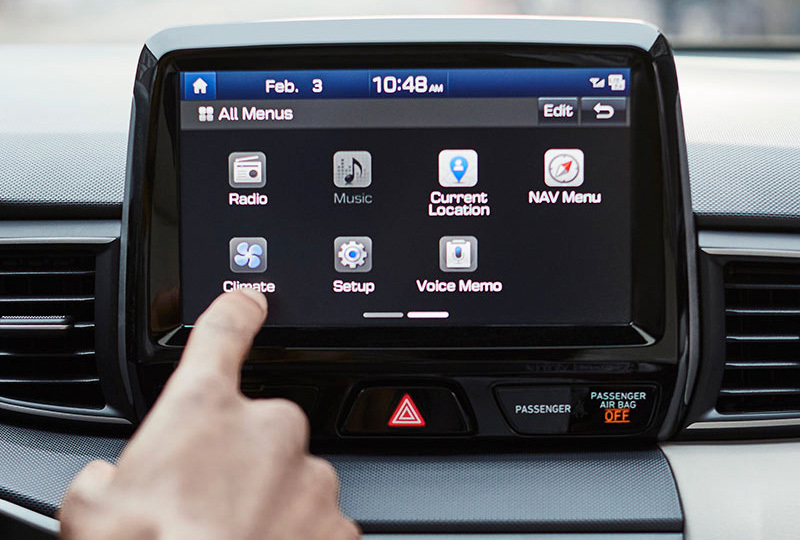 We ramped up the tech performance with an array of next-gen infotainment and connectivity features. The available 8-inch touchscreen is perched atop the center console, and the premium multi-function display includes interface for the 8-speaker Infinity Premium Audio with subwoofer. The Veloster's not all fun and games ‐ a number of standard active safety features means you can enjoy the drive with an assuring measure of confidence. 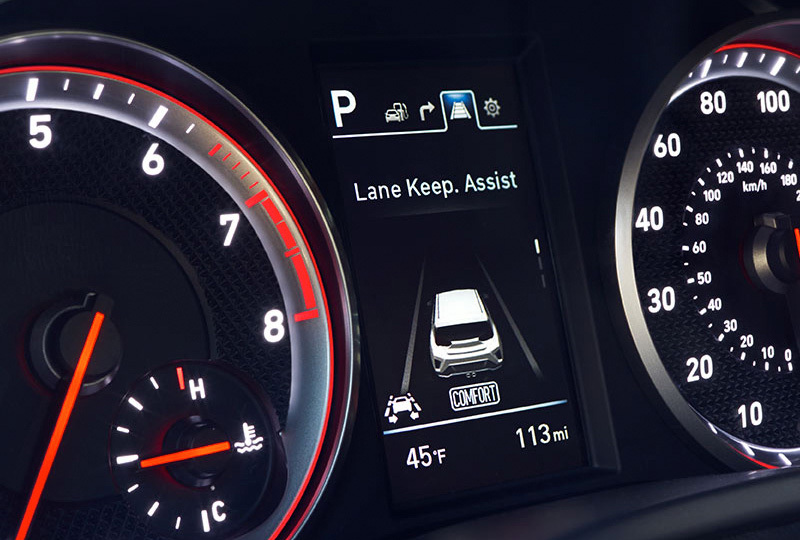 In a world full of distractions, Driver Attention Alert* is a safety innovation that warns you with audio and visual cues if it detects drowsy or other kinds of inattentive driving behavior. *It is the driver's responsibility to remain alert at all times. Driver Attention Alert is only a warning to inform the driver of a potential lack of driver's attention. It does not detect and provide an alert in every situation.